Home > PLANT CONTAINERS Iron, CocoMoss, Rattan, Willow, Naturals, Bamboo and more. 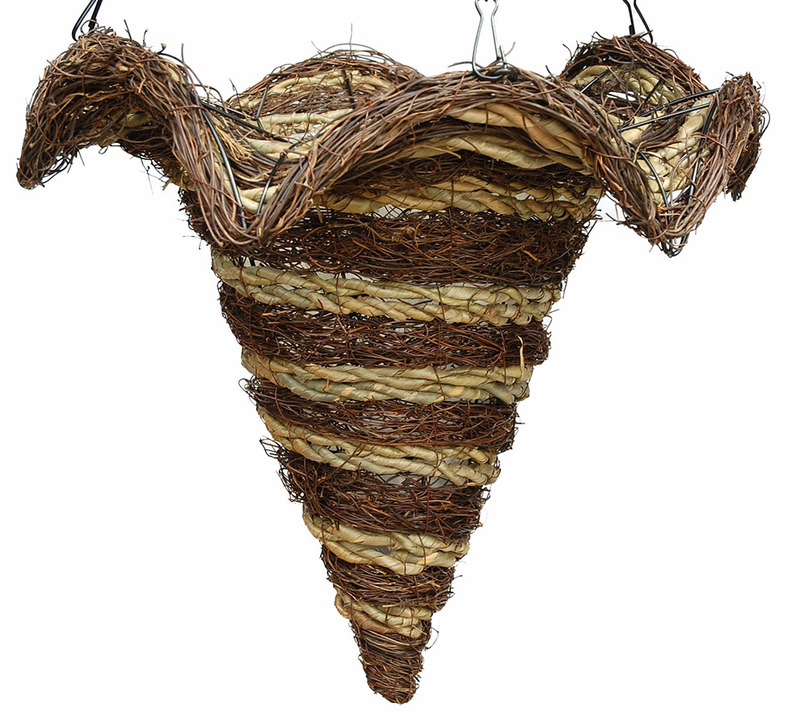 > Natural planters - rattan and others > Brushwood and palm leaf rope star cone hanging basket 16"
16" brushwood and palm leaf rope star shaped cone hanging basket with wire hanger, transport/grow shuttle. Lined with poly film.